Bradley Weisbord and Liz Crow's newly formed sales agency Elite Sales will offer multiple stakes winner Happy Mesa in their upcoming consignment at Fasig-Tipton's July Selected Horses of Racing Age Sale on July 10 in Lexington, Kentucky. 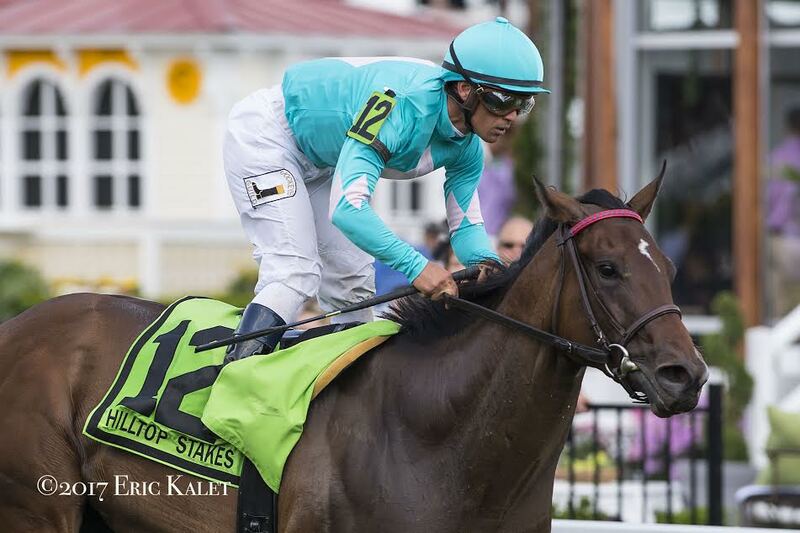 A daughter of Sky Mesa, Happy Mesa most recently defeated a top-class field of three-year-old fillies in near course-record time (1:33 3/5) in the one mile Hilltop Stakes at Pimlico on May 19. Among those she defeated were Grade 1 winner Victory to Victory, stakes winner Compelled, and Dynatail, who returned this past weekend to win the $200,000 Penn Oaks at Penn National. Also the winner of the Selima Stakes at two, Happy Mesa is out of the stakes placed Broken Vow mare, HAPPY CHOICE. Her prolific female family includes G1 Test Stakes winner Missed the Storm as well as Champion and Filly Triple Crown Winner Chris Evert. BSW Bloodstock's Weisbord and Crow announced the launching of Elite Sales last month. The consignment specializes in selling horses in training and broodmare prospects coming off the racetrack at public auction. This entry was posted in Bloodstock and tagged elite sales, Fasig-Tipton July, happy mesa, Horse Racing, thoroughbred by Press Release. Bookmark the permalink.